Getting in a blue mood...ready for our Theme Day on Thursday. 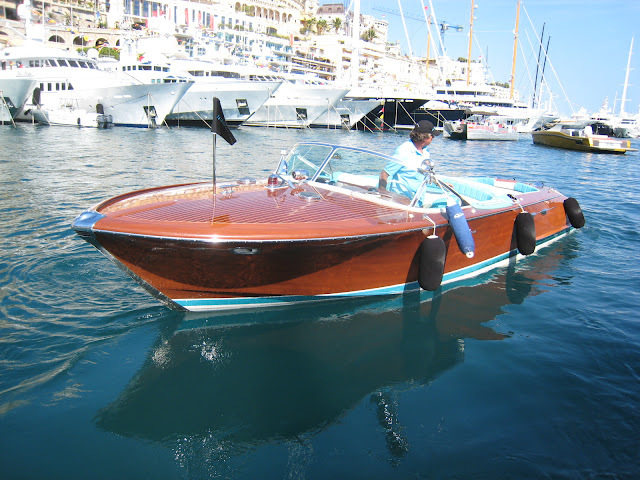 Blue sea, blue sky - the obvious in Monte Carlo, I suppose, but tomorrow and on Theme Day, there'll be something different so do come back. Today, tho, we are on Larvotto Beach - this was taken 9 days ago - weather still warm as you see. 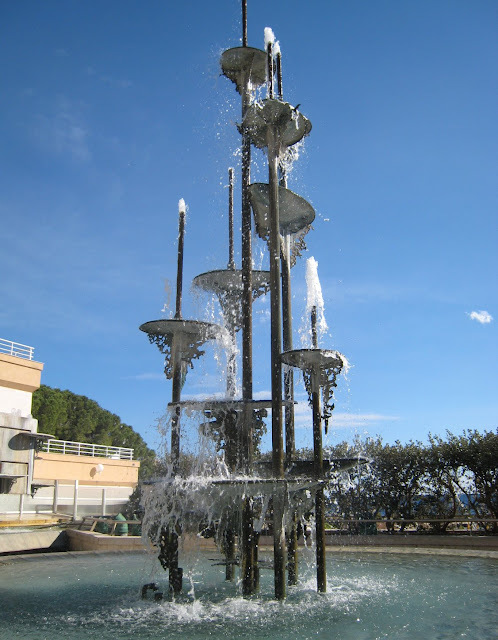 This beautiful sculpture/fountain was created by Guy Lartigue in 1970 in hommage to Princess Grace of Monaco. 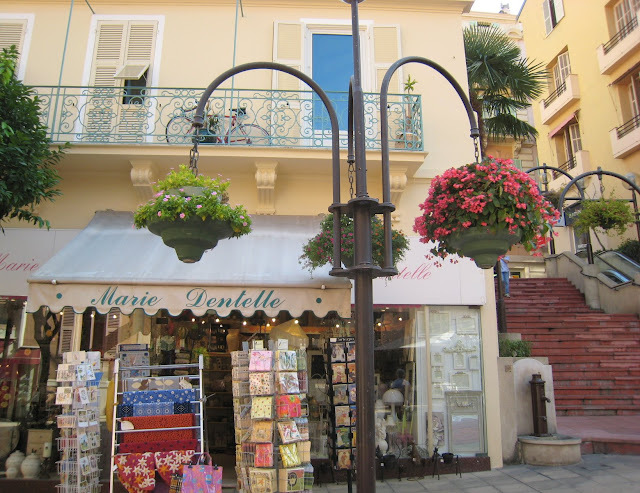 Made of copper, brass and bronze, it stands on the eastern end of the Promenade de Larvotto, just above the beach. You can see more of this artist's work at this LINK - where you'll also find a photo of the sculpture taken at night. 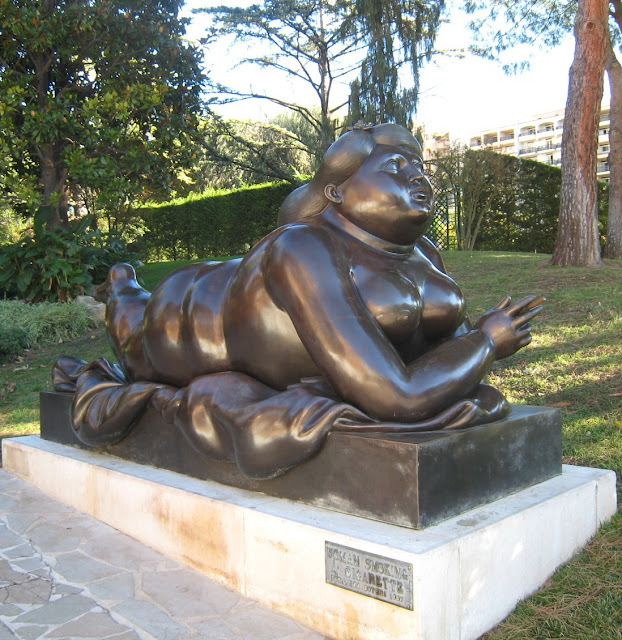 This sculpture called 'Woman Smoking a Cigarette' is by Fernando Botero and was created in 1987. 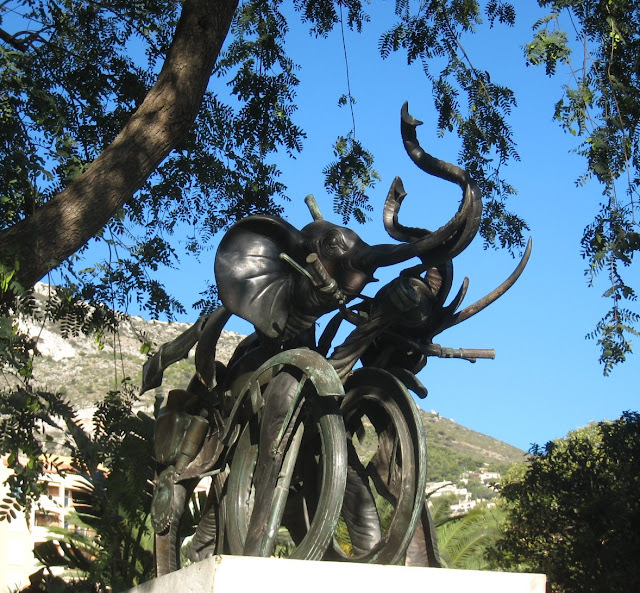 It stands in the gardens of Fontvieille, near to the circus tent. 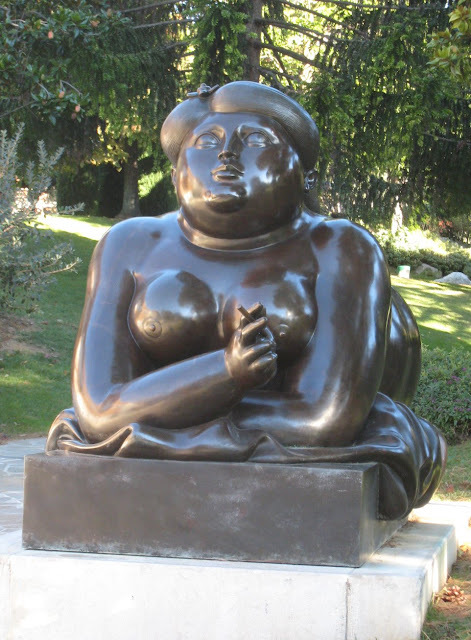 Botero was born in Colombia in 1932 and is famous for his wonderful inflated shapes. Personally I adore his work. Do you? On Larvotto beach, in fact. 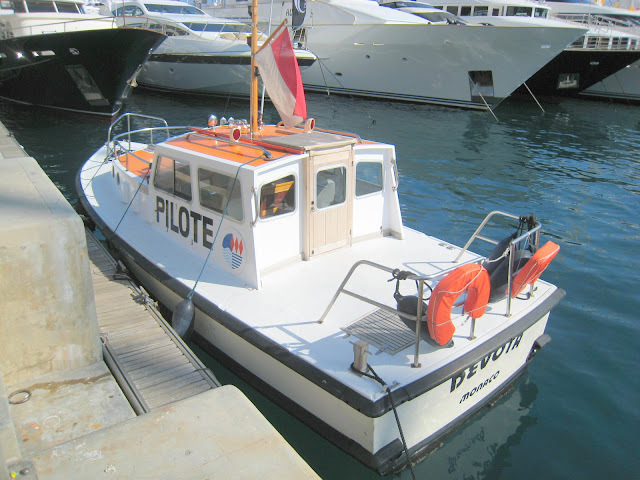 Taken two days ago, the normally calm Mediterranean is still churning from the winds of the previous day. 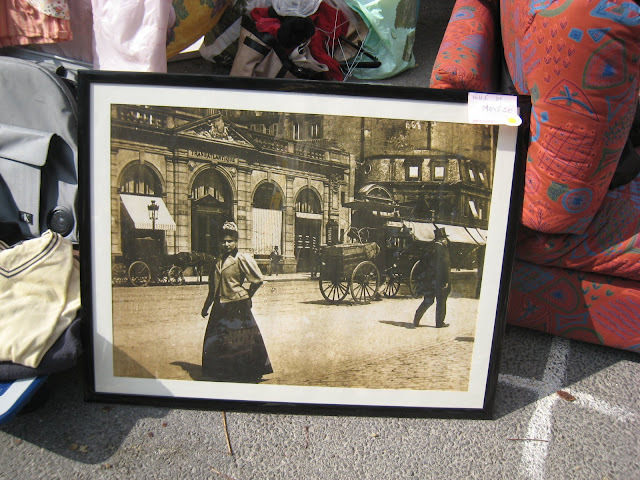 ...went to market. 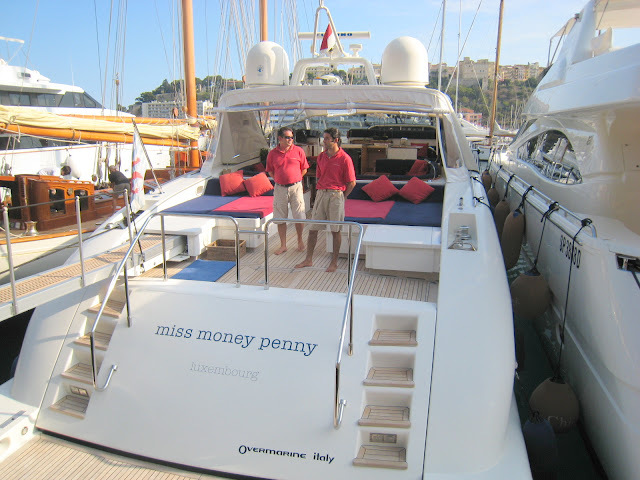 Well actually he went to the foire in Monaco. 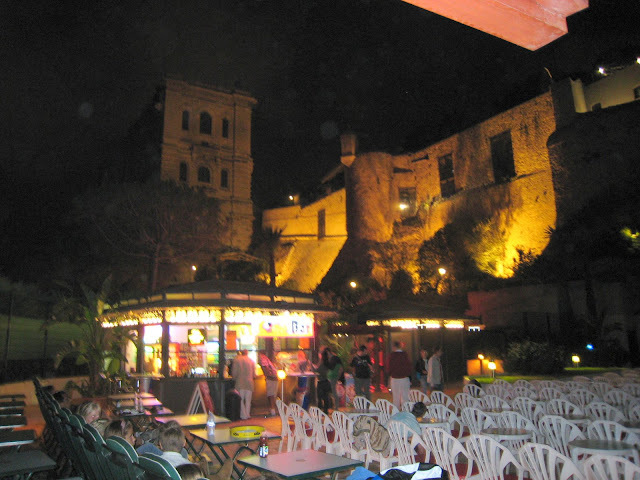 Every October there's a big Fair in the circus tent in Fontvieille. You can buy anything from a new kitchen, to designer office chairs from Italy costing 1500 euros, to wines, to cheeses, to meats. There are stands from Morocco, India, Russia - many countries are represented - selling local artisan-made products. My favourite is always the Moroccan stand with its wonderful lamps, mirrors and pots. 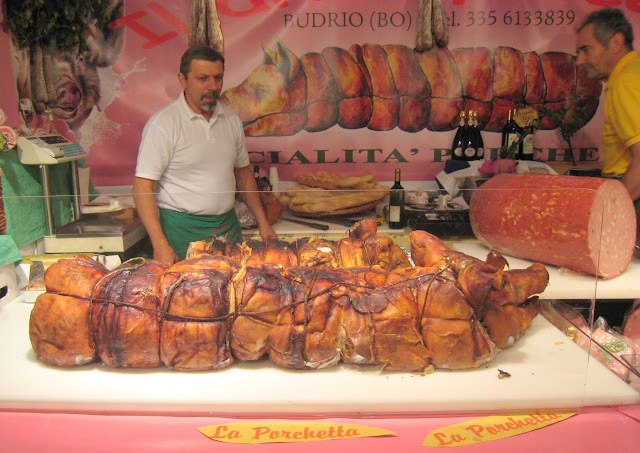 This stand is called Divin Porcello and comes from Budrio in the province of Bologna in Italy. 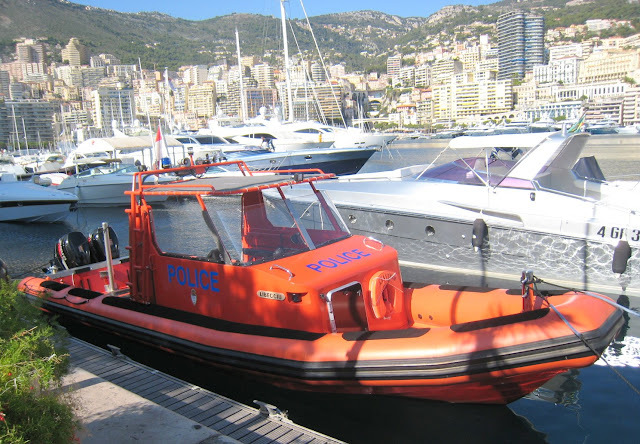 In sharp contrast to the gleaming white yachts: the police boat. 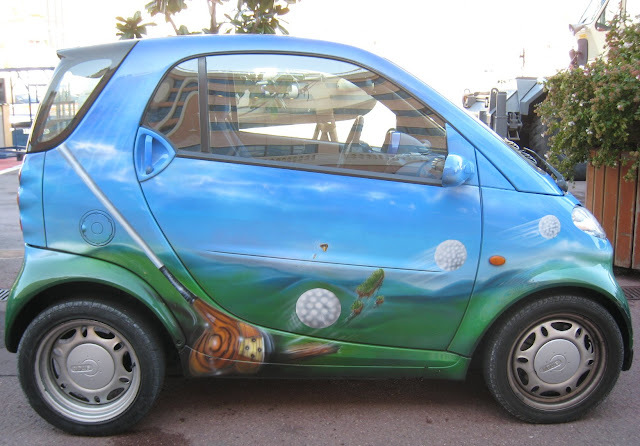 A Smart car parked in the port area this morning and fairly near to Stars 'n' Bars. 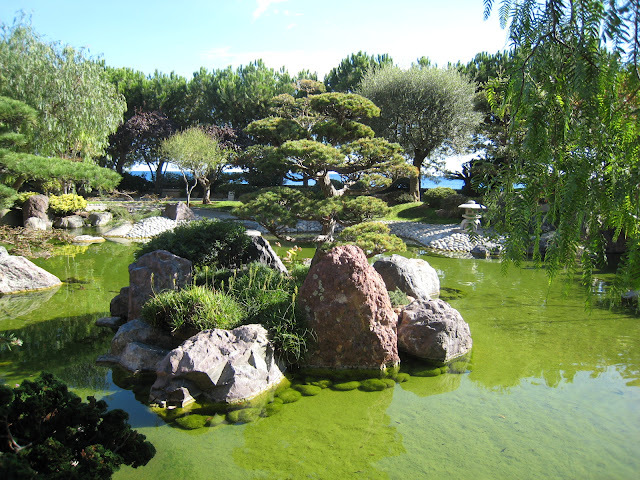 This enchanting garden, designed by the landscape architect Yasuo Beppo was commissioned by the Prince Rainier for Princess Grace. 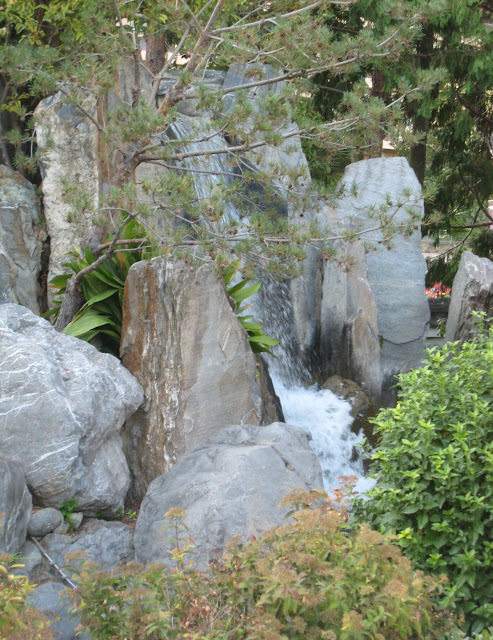 It covers 23,000 square feet right next to the Mediterranean and has been blessed by a Shinto High Priest. 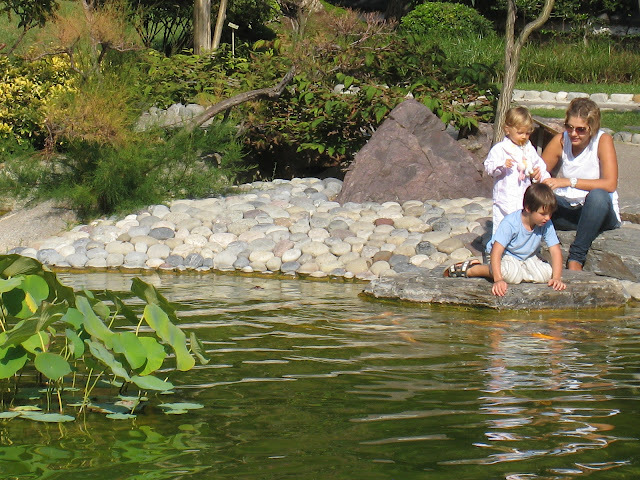 The garden is an authentic work of art that unites stone, water and vegetation in the most marvelous harmony. 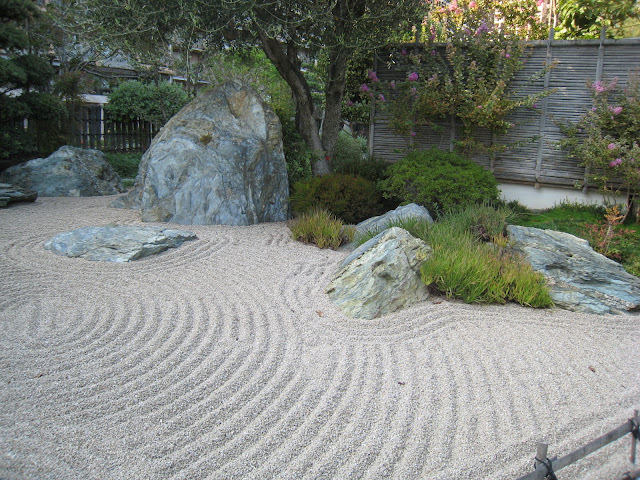 The pine and olive trees are pruned in the pure tradition of the Land of the Rising Sun. (Back home from Germany - thanks so much for comments). 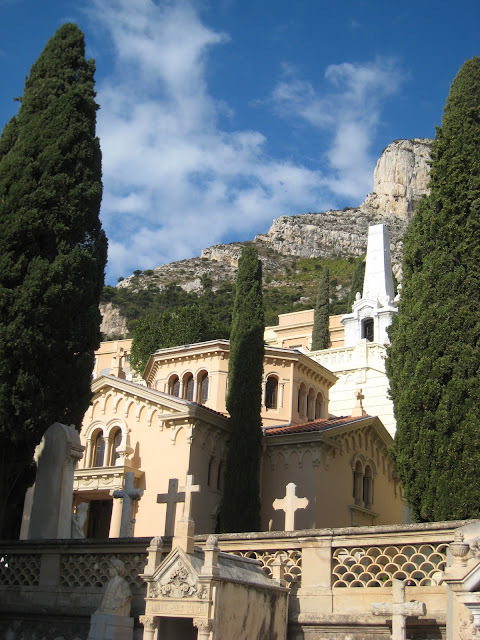 This shot probably shows reasonably well how the cemetery of Monaco is constructed on many different levels - in fact, many more than you see here. 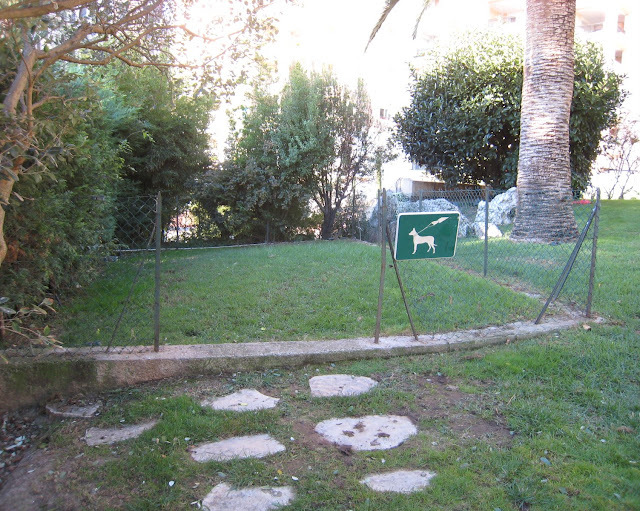 And each level is named after a plant or flower, making it easier for visitors to find a particular grave. 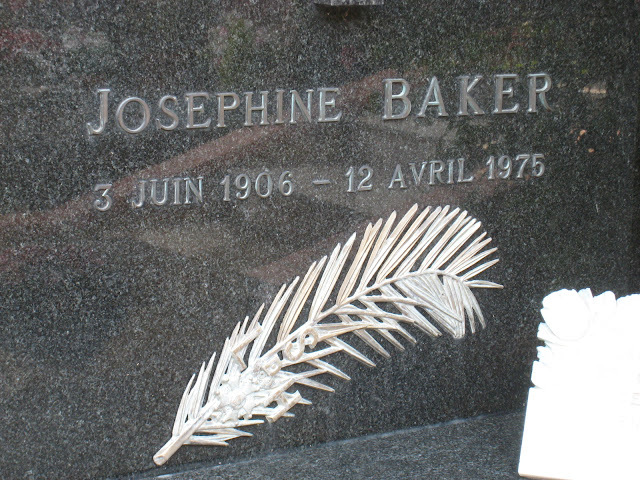 Above, you see part of the grave of the Josephine Baker, which she shares with her fourth husband, the orchestra director, Jo Bouillon. Singer, entertainer, civil rights activist, humanitarian, Josephine Baker was easily the most successful black woman of her time . Born Freda Carson into poverty in St. Louis, Missouri, her ticket out was her comedic and dance abilities, which powered her rise to early American fame on Broadway. 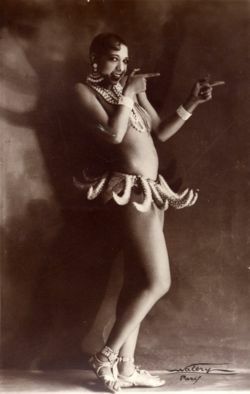 Tiring of performing in demeaning minstrel reviews, she jumped at the chance of a career in Paris where the Jazz Age fuelled heady interest in the then sensual and exotic African-American culture. She was known as the girl 'who danced her way through the 20s and 30s dressed in bananas.' (Click on THIS LINK to see a YouTube performance). 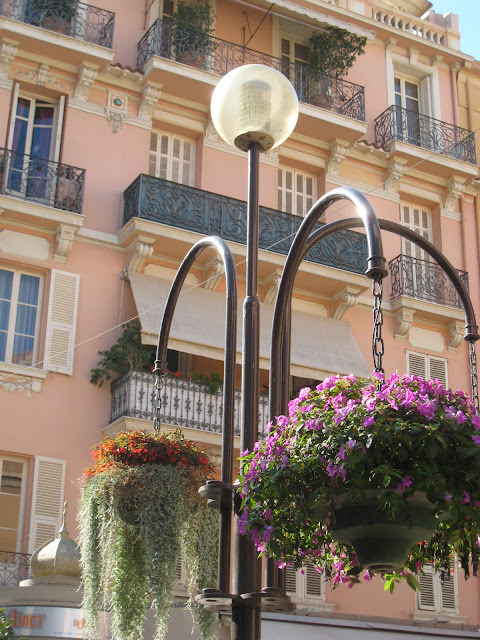 Josephine Baker was very close to the Principality of Monaco. 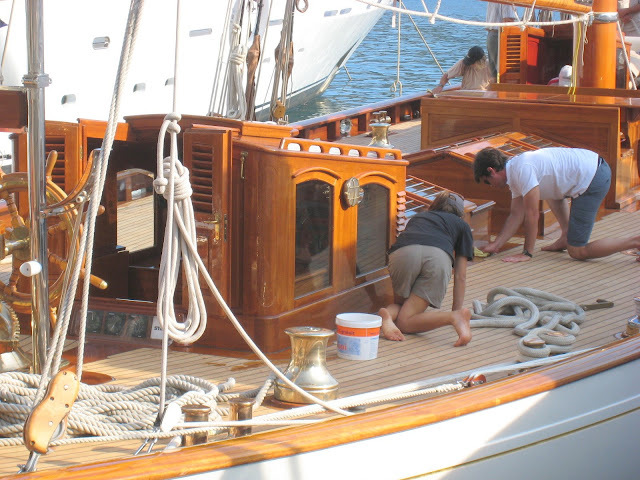 After she was bankrupted, following the badly handled management of her well-known estate in the Dordogne, where her 'Rainbow Tribe, the 12 multi-ethnic children she had adopted, used to live. 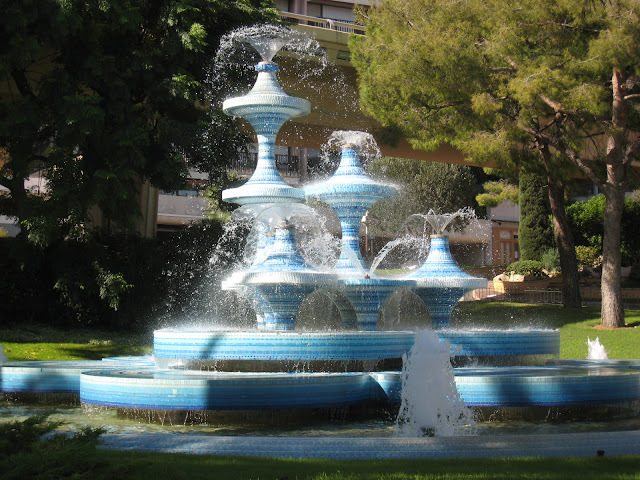 She sought to prove that children of different ethnicities and religions could be brothers. 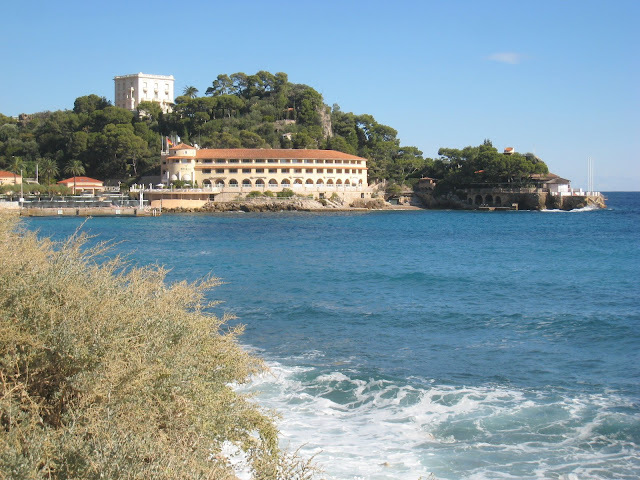 She was helped by Princess Grace of Monaco, who offered her a life-long accommodation in Roquebrune-Cap-Martin and invited her on several occasions to take part in charity performances. A moving anecdote from the artist's life in 1974: at the opening of the Sporting Monte Carlo, Josephine Baker stood in for Sammy Davis Junior, who'd been taken ill at the last minute. 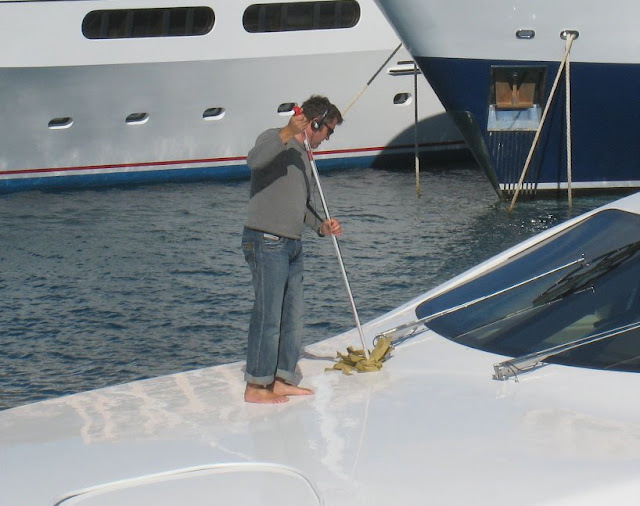 He should have been the star performer at the Monegasque Red Cross Gala. Retired from the stage, the artist rose to the challenge and made an unexpected comeback, amazing the audience who gave her an incredible ovation. 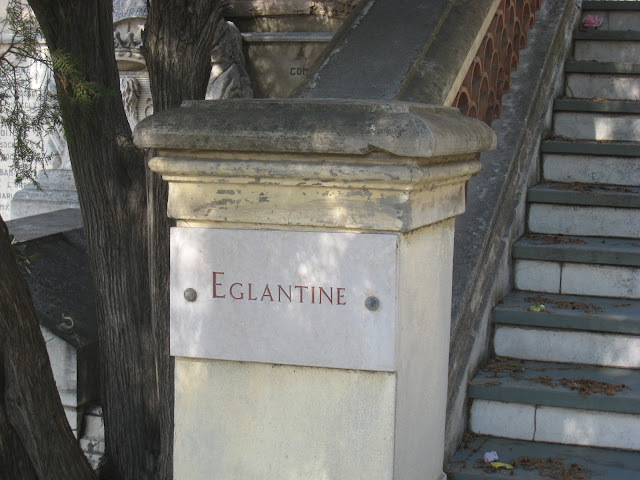 The following year, during a final Parisian revue based on her life, she suffered a stroke following her final performance and died three days later. You can read more about this amazing woman at THIS LINK. 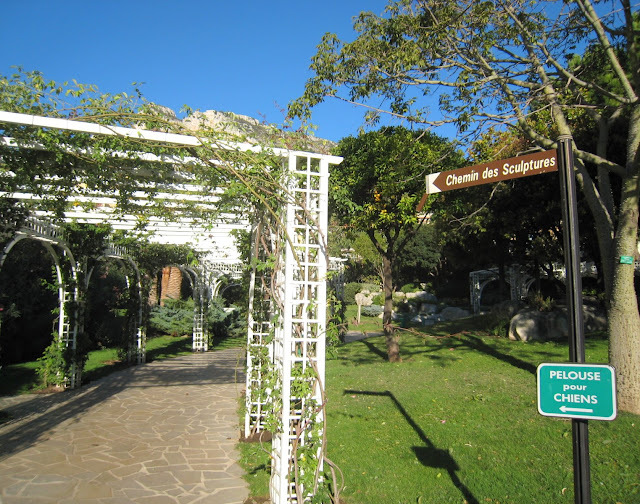 Monaco's cemetery is situated just below the Princess Grace Hospital. Not the greatest placement of a hospital, I'd venture to say. 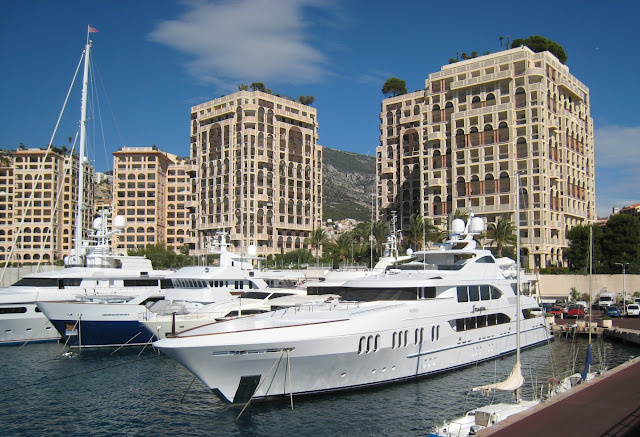 Perhaps there was no choice - the Principality of Monaco, after all, is very small. So there you are, sick in your hospital bed - you look out of the window and there before you is the glorious Mediterranean, but look down and you realise you are staring at descending terraces of graves. 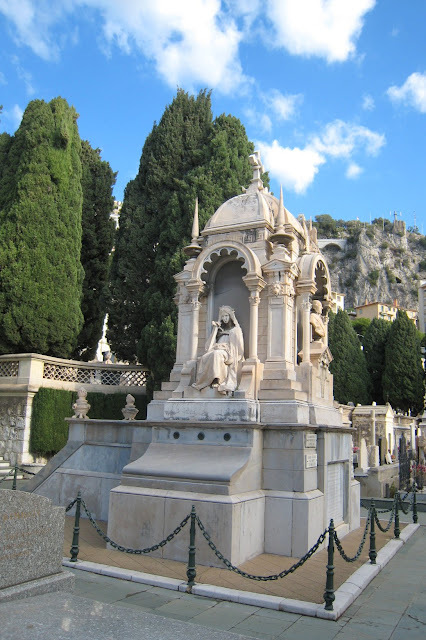 Several famous people are buried in the graveyard: Josephine Baker, the entertainer and Leo Ferré, the designer amongst them. 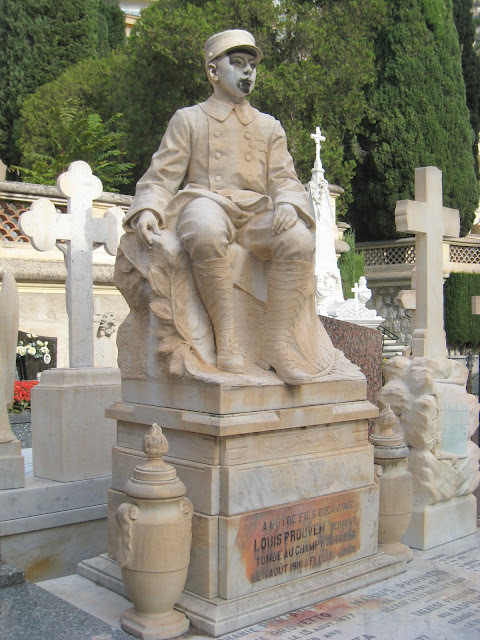 This grave belongs to the Famille Ange Giordino. 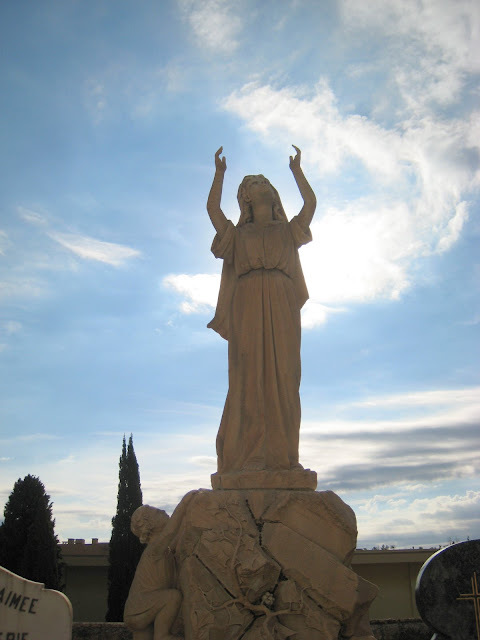 I'll post more photos from this beautiful cemetery over the coming days.